Is it bad to relate super hard to a narrator that other reviewers describe as “unlikable”? Asking for a friend. Weike Wang’s debut novel is a patchwork of the narrator’s internal monologue, memories from her painful childhood, and vignettes of her relationship with a fellow graduate student. Oh, and scientific factoids. Despite how disjointed and piecemeal that sounds, it all comes together into a flowing, almost hypnotic read. The narrator (never named) has a perfectly nice boyfriend and is working on a perfectly adequate advanced degree in chemistry, but both aspects of her life come up against hurdles around the same time. The boyfriend wants to marry her, but her own parents’ dysfunctional disaster of a marriage makes her resistant to the idea. To move forward in her studies she has to have an original idea for research, but now she’s not sure why she even went into science in the first place. Was it because she was good at it, or because she enjoyed it? Neither? Both? The narrator doesn’t know. So she does (what seems to me to be) the logical thing: she burns it all to the ground. She quits grad school in a scene loud and glorious in its destruction, and trashes her relationship too by way of total immobility. I suppose if I squint, I can see how some readers wouldn’t like being inside this narrator’s head—she overthinks everything, she self-sabotages, she is seemingly incapable of normal human interaction—but for me it was quite comfortable, because it felt a whole lot like being in my own head. While I didn’t suffer the unhappy childhood or fear of romantic commitment the narrator does, her constant discomfort with the unknowableness of life resonated deeply with me. How can a person get married, or choose a career, or gain independence from their parents, when there’s no way to know what happens next? How do we ever know we’re making the right choices? If you think too hard about it, that line of thinking is paralyzing. 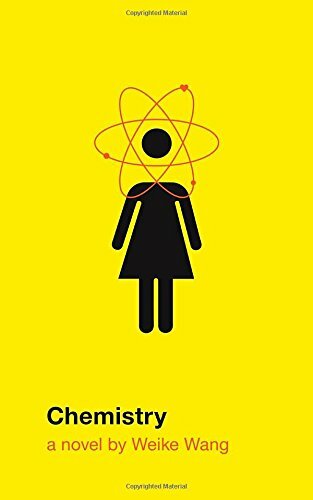 If you’re looking for readalikes, this book reminded me of Lab Girl by Hope Jahren, even though Lab Girl is a memoir. They’re both about women in science, but they’re also about existential dread and what depression can do to relationships.